The Meopta is a good price too. It is much bigger than the Reichert, but also more convenient and powerfull. Both have 3 non-RMS objectives in a revolver. Here is a link to the two types of Goren microscope: Polarization and "biological". They are both binocular. I want one, but don't like the fact that no retail price and only one photo is provided. It would be expensive, if they price it based on market competition. I probably asked them a few tears ago (cannot remember) and considered it too expensive. Looks like standard DIN optics? Would be nice know LED implementation, head and condenser dovetail diameter as well, for DIY modification. Last edited by zzffnn on Tue Jan 29, 2019 7:11 pm, edited 1 time in total. When they would spend more energy on marketing they could probably sell quite a few. But then again they would create a new economic setting, quality assurance, customer service and so on. I would expect to have to relubricate it for optimal movement but this has to be expected with most older microscopes. This is a copy of the Zeiss field microscope. You get a full featured lab microscope fitted into a small but heavy box. It comes with a 9:1 plan objective and an additional 40:1 water immersion objective. It is a nice microscope to take to the holiday, at least when you are not going on a hiking trip. To fit it in the vox you have to remove tube and objectives so you can't just grab it and start like with a Wild M11. 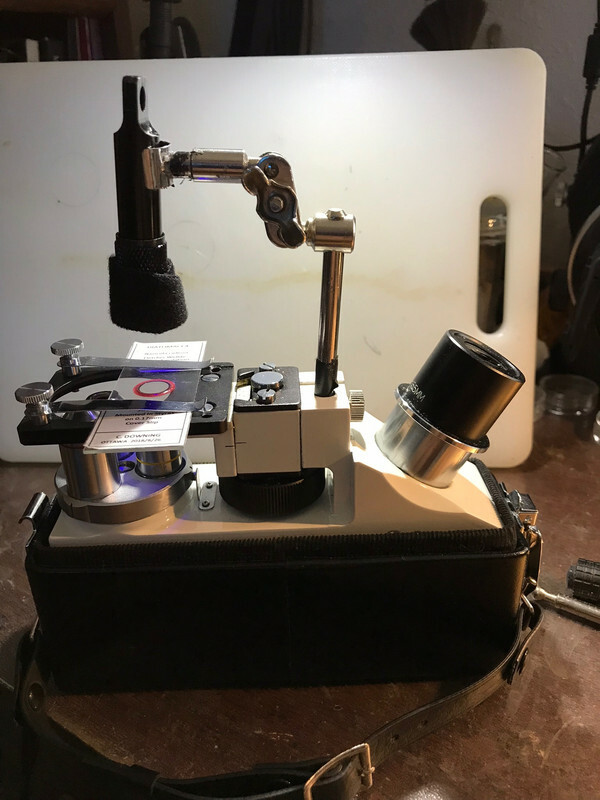 At home you could use it as you single microscope, may be with an additional bino tube and som accessories. There are nice apos and 5-seat nosepieces available for comparatively little money. It is about half the usual price. Smaller, and with removable blue filter for the 4x so it won’t burn through the back of my skull. The build-quality is predictably lightweight; but the idea looks excellent. 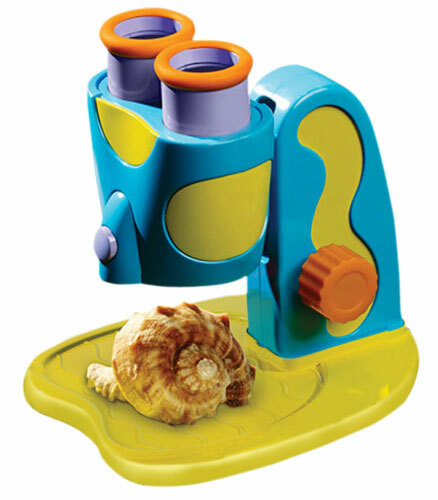 this is a copy of the Nikon Naturescope line. They were sold several years ago but I don't see one on offer today. The original Naturescope is quite expensive, and it is probably too complicated for the Chinese to make an acceptable copy for little money. Probably Nikon was not amused to see a pirate copy and put en end to it, which is ok of cause. It is lightly built but the view is ok. It can't be racked up high enough for thicker objects, like removing splinters aout of fingers. ... I had not seen either version before yesterday. I think this copy was mentioned/reviewed? on french Le Naturaliste forum. On the german market I haven't become aware of the copy and the original Nikon is never mentioned. I would like to have one, but for the limited use I wouldn't spend that much. From the images it doesn't look like a 600€ microscope to me, cheaply made and flimsy. Even at used prices which get down to 350 occasionally (and I saw one for 150 which was gone fast), with a fixed 20x mag it sure feels like you might as well use a binocular loupe or buy a cheaper stereo and tape on bubble wrap to ruggedize it. I suppose weight is still an issue with a normal stereo scope, even a small one. Nevertheless. For the avoidance of doubt, though ... The single design feature that impressed me [and why I posted the photos] is the fact that by inverting the head, the 'scope makes a package of small dimensions. ... Oh, and that rotation also switches-off the lamp.